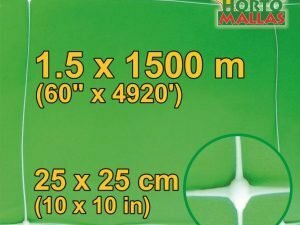 How to improve your long beans´ crop by using tutoring mesh. Mooring poles to the end of each row can be seen here. 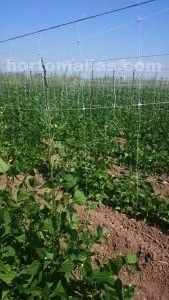 Trellis netting allows beans to grow evenly and with better aeration. 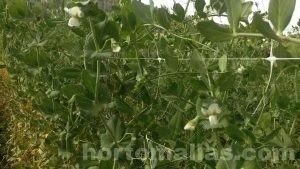 A well trellised bean or pea plant will have better pollination as insects will be able to access more easily the flowers. 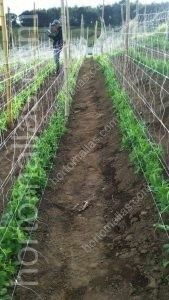 The trellis net for beans and peas gives the best support to plants. Avoiding direct contact of the fruits and leaves with moist soil will reduce the incidence of pathogens. grown (in the northern hemisphere) between March to July, or in the early autumn month before heavy rains and cold hit again. Long Beans are affected by undergrowth weeds as they both compete for light, nutrients and water. Also weeds cause other problems like hosting insects and diseases that interfere with a high yield crop and affect production and quality. 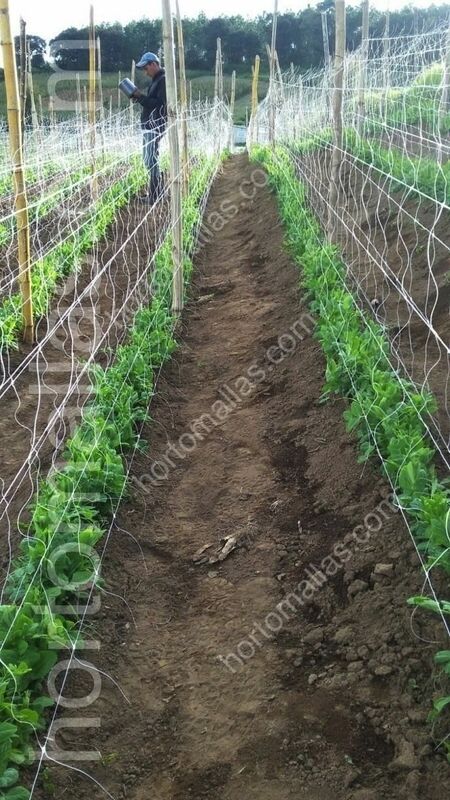 When using trellis net we avoid beans to compete with other plants for sunlight and ventilation, because it works as a support and guides vegetative development (using the beans´ tendrils natural tendency to fasten to a preexisting structure) being easier to grow and getting more sunshine, avoiding humidity excess and parasite hosting, and crop diseases as it encourages crops distance from another for better biological control. 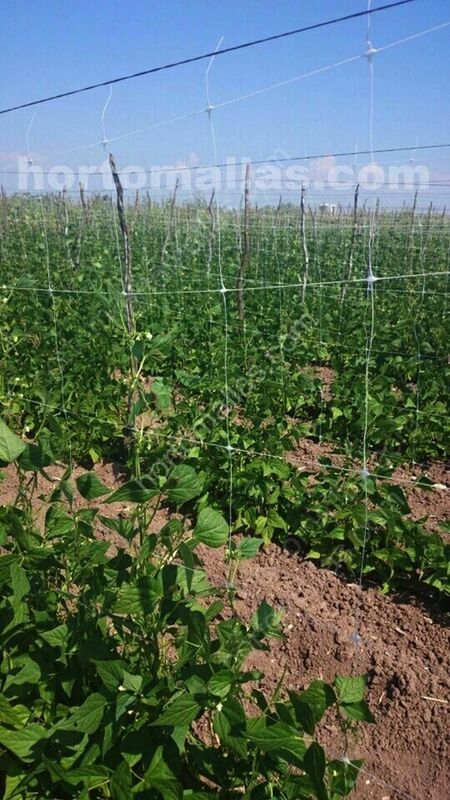 The trellis net provides bean plants a support system which prevents creeping crop condition. 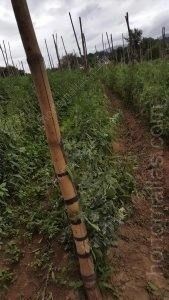 this allows better perform the tasks of weeding without damaging the crop. This is a case where the farmer preferred to give peas double support, taking advantage of the nature of the tendrils naturally tied to the trellis net. 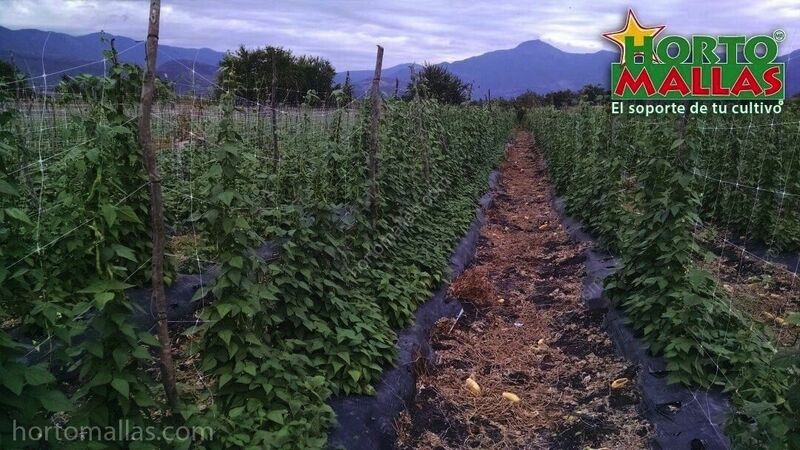 This system produces more plants per hectare and better quality thanks to reduced mechanically transmitted diseases. 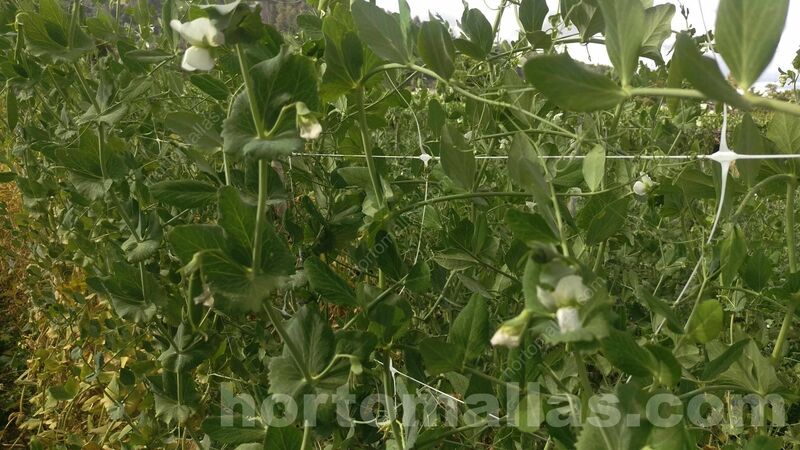 This is a case where the professional horticulturalist choose to trellis snow and sweet peas using a double support netting, using the tendrils´tendency hold up naturally to the trellis net. This system increases the plant´s density per acre produces better quality vegetables because it reduces mechanically transmitted diseases and plant stress. 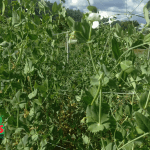 Tutoring legumes and crop rotation. Tutoring and training long beans, or trellising snow peas and other legumes of the climbing species is very profitable when they are integrated in a crop rotation program inter-lapping other plant species that complement this leguminous which provides nitrogen to the next growing cycle, taking advantage of the initial investment in infrastructure like mulch, drip irrigation system, stakes and bean netting. The only thing where special attention must be focused is in controlling pathogenic insects since this legumes attract white flies which are a vector of viral disease transmission , so it is recommended to keep good phytosanitary conditions while growing and implementing a system of biological and mechanical glue traps to decrease population during the whole growing cycle, and creating attraction poles for insects at the perimeters using yellow flowers such as sunflowers that may be fumigated against thrips and white fly without affecting the crops. 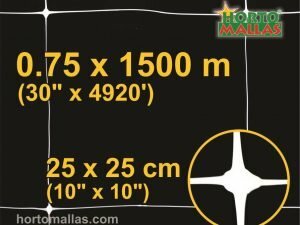 Using HORTOMALLAS your bean plants (green beans) will be more profitable. Plants with a climbing nature can to find the best support system in the plastic trellis mesh. 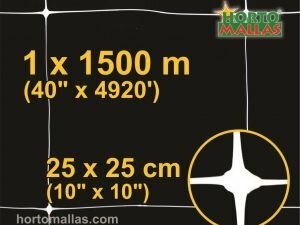 Tutoring green beans using HORTOMALLAS trellis net.